Which District 7 apartment has a nice location at the moment? Currently, thanks to many projects District 7 is being developed investment real estate market in this area is always crowded. 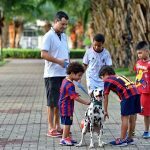 Let Realestatevietnam find out about 7th District apartment projects that are in a good location before they intend to buy District 7 apartments or invest in District 7. 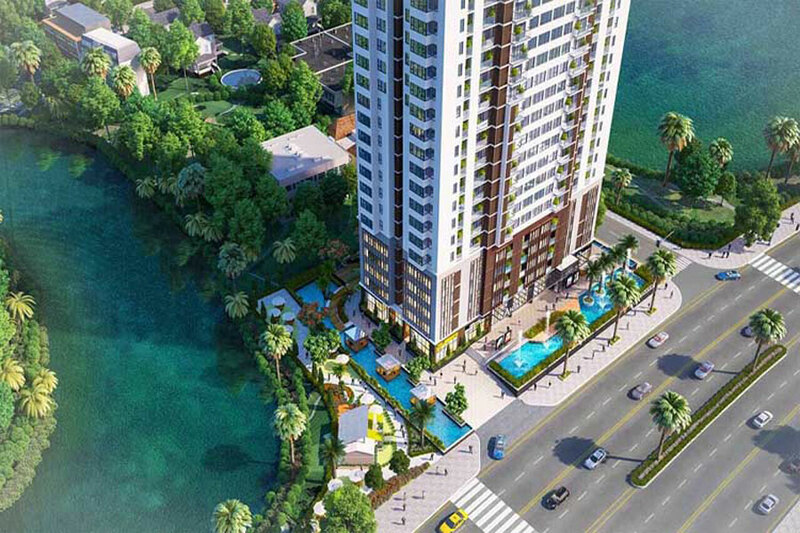 District 7 apartment Ascent Lakeside is located on Nguyen Van Linh frontage, the intersection with Huynh Tan Phat street, Tan Thuan Tay ward, District 7. This project is very beautiful and convenient location. It is connected to the central districts, Phu My Hung urban area – Thu Thiem urban center – District 1 center, Nguyen Tat Thanh and Nguyen Huu Tho. District 7 Ascent Lakeside apartment developed by Tien Phat Real Estate Joint Stock Company in cooperation with Sanyo Homes (Japan) co-development. 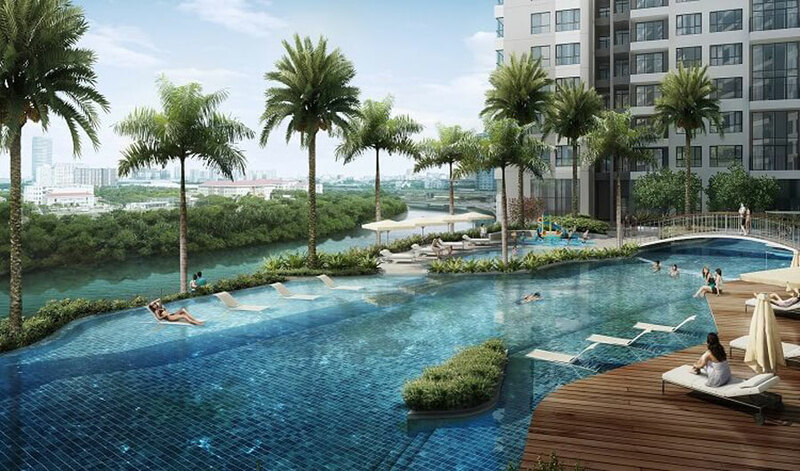 Ascent Lakeside apartment is expected to be completed and handed over in Q4 / 08. Selling price of apartments in District 7 Ascent Lakeside from VND38 – 48 million / sqm. This is a legally owned project. District 7 Ascent Lakeside apartments are fully integrated with high-end amenities. The security system at District 7 Ascent Lakeside Apartments is up to 5 floors. 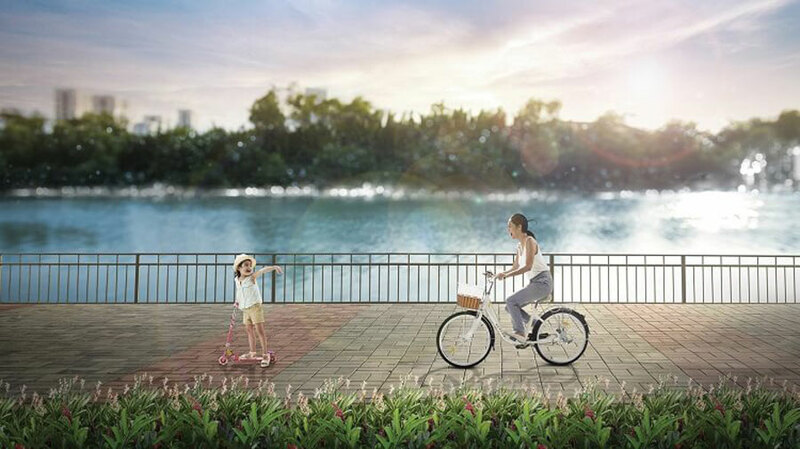 At the same time, amenities such as cafe, restaurant, spa, gym, supermarket and convenience store, garden garden, meditation garden, VIP Lounge, overflow swimming pool, Jacuzzi, children’s playground, BBQ area, Cha-Niwa garden and tea garden, Cha-Niwa garden … are all invested by Tien Phat investor for Ascent Lakeside project. At Ascent Lakeside Apartment District 7, residents will enjoy the benefits of Japanese style from learning, playing, entertainment to beauty and fitness. District 7 Apartment The View Riviera Point is located at 584 Huynh Tan Phat Street, Tan Phu Ward, Phu My Hung, District 7. This project is extremely beautiful because it is surrounded by Ca Cam River cool, separate from the street and noisy urban. Therefore, in the District 7 apartment project, residents live in a peaceful and peaceful environment. Especially, because it is located in the heart of District 7, from the project of District 7 apartment, The View Riviera Point can easily connect to a wide range of utilities in Phu My Hung urban area. The View Riviera Point is invested by Keppel Land. This is Singapore’s leading real estate developer so Keppel Land’s products have a reputation for quality and reputation. District 7 view apartment project The Riviera View consists of three 40-storey towers, which will provide 519 luxury apartments. The View Riviera Point project is priced at VND29-35 million / sqm. The project is expected to be completed in Q4 / 2019 by The View Riviera Point. In addition, The View Riviera Point also owns modern design and many advanced facilities. 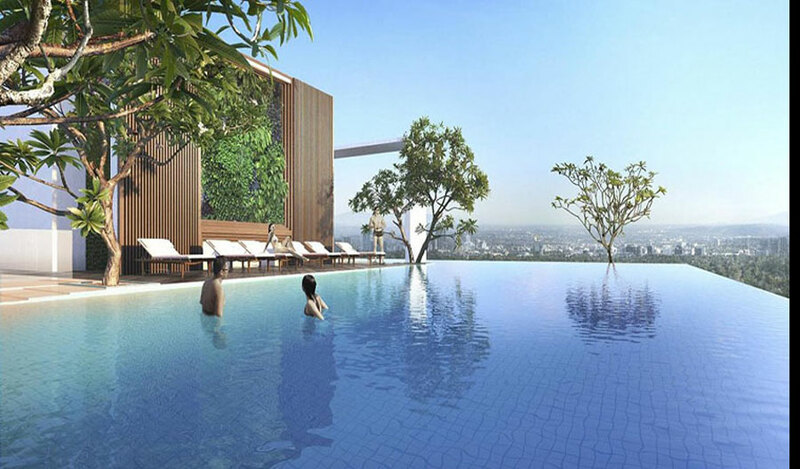 The 50m-long resort swimming pool at this 7th District apartment is a highlight. This is the first apartment building in District 7 to build saltwater lake up to 50m. The swimming pool is equipped with modern water treatment technology, no chemical detergent. So residents of the apartment project District 7 The View Riviera Point can be assured of health, eyes, skin, ears. 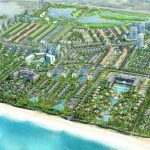 In addition, the project also has other high-end facilities such as, children’s pool, exercise area, rattan garden, gym, … 30 utilities at The View Riviera Point integrated This is to bring residents here many leisure activities, high-end entertainment. 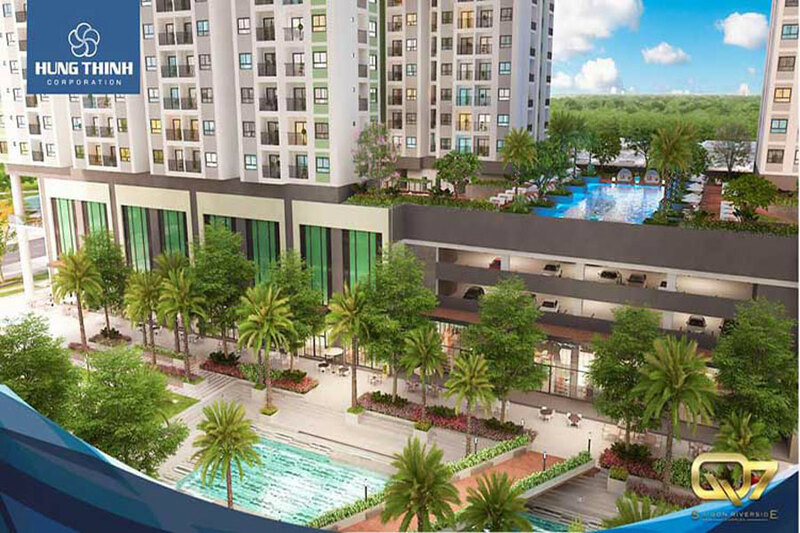 Saigon Riverside is located right in front of Dao Tri street, Phu Nhuan ward, District 7, Ho Chi Minh city. Dao Tri road was planned and expanded the road to 40m. Dao Tri street is considered one of the most beautiful riverside roads and the largest in District 7. Because of the advantages located on the road, apartments District 7 Saigon Riverside inherited the view of cool and airy river. In addition to the beautiful location, this is one of the rare projects that residents of the Saigon Riverside project can enjoy the morning sunrise. 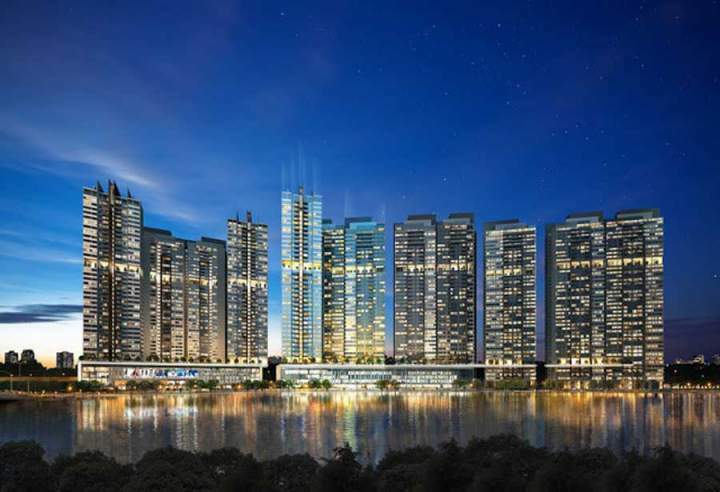 Saigon Riverside is expected to be completed and handed over in 2020. 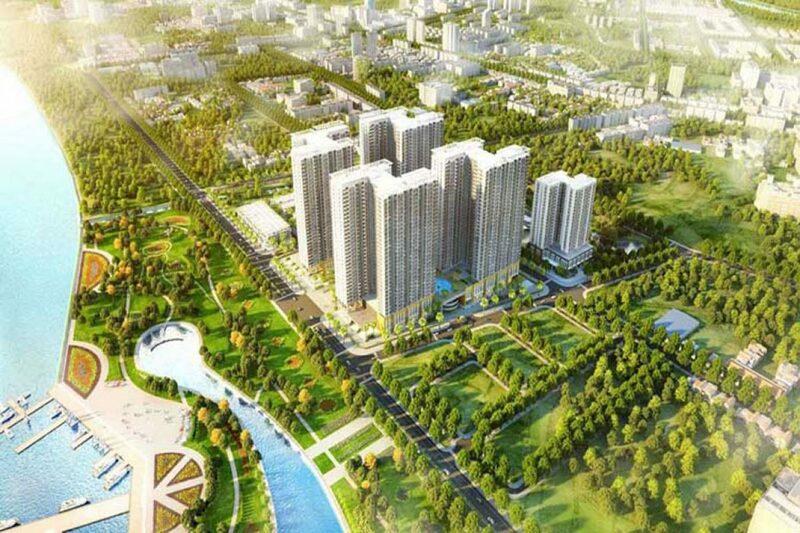 The sale price of the Saigon River District 7 apartment project ranges from VND26 – 30 million / sqm. Saigon Riverside Apartment District 7 is equipped with convenient facilities to more than 50 local utilities. 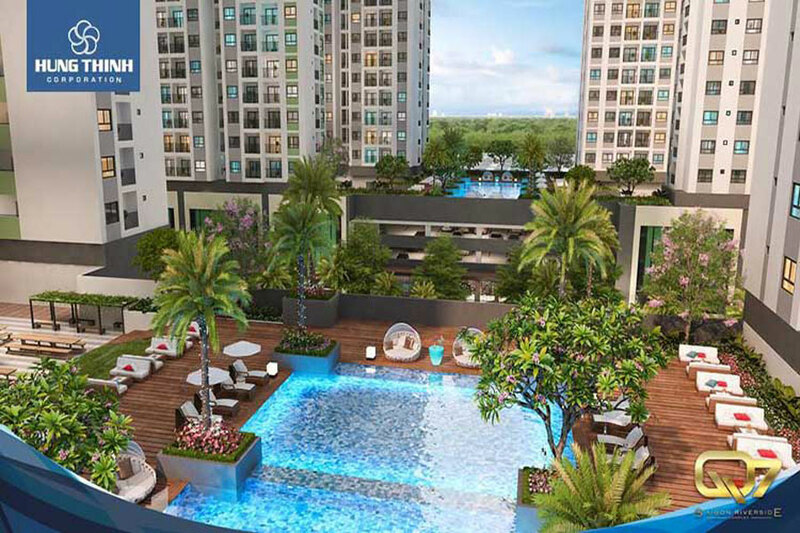 Investor of apartment project District 7 Saigon Riverside with the desire to bring the highest quality of life possible for residents, has built many utilities inside to meet the needs of residents. Conveniences such as shopping center, multi-purpose sports area, commercial street, children’s play area, cool street, central lakes, restaurants and cafe. In addition, Symphony Square and Love Bridge are two unique and unique features for Saigon River District 7 apartment project. At the bridge of love is inspired by the famous love bridge in the world such as Seoul, Rome, Paris, … This will bring new experiences for residents of Saigon Riverside. The Symphony Hall is an artistic combination of water and light that creates freshness every day. In particular, the fire protection system of Saigon River District 7 is operated in accordance with Japanese procedures, ensuring absolute safety for residents here. Invested in a range of outstanding facilities and favorable geographic location, District 7 apartment project in the future will become a highlight in the South real estate market. You are reading the article Which District 7 apartment has a nice location at the moment? in the Real Estate category at https://realestatevietnam.com.vn/. Any information sharing, feedback please contact through Hotline 0909890897 (24/7) or email to info@realestatevietnam.com.vn. Should you spend more money to buy an apartment in Phu My Hung?